Although some of the most popular seats have already sold out, there is still time to get in on the delicious fun that is the Park City Area Restaurant Association’s fifth-annual Savor the Summit. 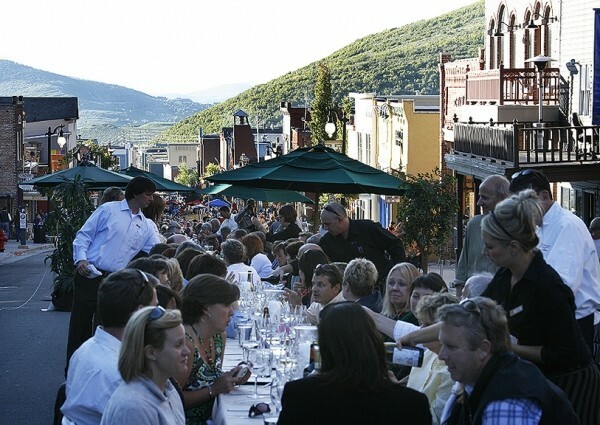 Savor the Summit takes place on Saturday, June 23, as diners gather at the Grande Table, which stretches the entire length of Park City’s Main Street, for a celebration of food, drink and live music. Dozens of restaurants come together to create the Grande Table, and menus range from $40 to $150 per person, depending on the restaurant. In addition to dinner, this year’s Savor the Summit will also feature the Park City Magazine Spirit Garden, serving an array of Treasury Estate Wines and a selection of Wasatch and Squatters beers, from 4 to 10 p.m. Live entertainment includes the Brooklyn, N.Y.-based Pimps of Joytime. There are also lodging specials offered by The Lodges at Deer Valley and Silver Baron Lodge. To reserve a spot at the Grande Table, call the participating restaurant you wish to join. Visit SavorTheSummit.com for more information. On June 16, Fratelli Ristorante in Sandy will host its fifth-annual car show, from 11 a.m. to 3 p.m. All sorts of classic, custom and exotic cars will be on display, not to mention Fratelli’s excellent Italian fare. For more information, visit FratelliUtah.com. For those who enjoy their beer with a bit of history, the Utah Heritage Foundation is launching the Thirst Fursday Historic Pub Crawl. Three times this summer—June 7, July 5 and Aug. 2—beginning at 5 p.m., the Thirst Fursday Historic Pub Crawl will visit three of Utah’s best-known watering holes and imbibe their libations. The first crawl will stop at Murphy’s, The Beerhive and O’Shucks and will include a short presentation about the history of each location, beer and a Thirst Fursday Pub Crawl commemorative T-shirt. The cost for each crawl is $15 to UHF members and $20 for nonmembers. Visit UtahHeritageFoundation.org to register.